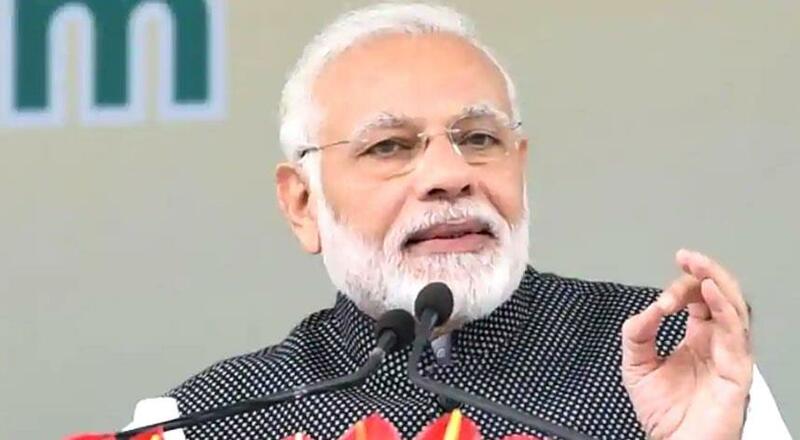 Hubballi-Dharwad (Karnataka), Feb 10: Prime Minister Narendra Modi will unveil development projects in Karnataka's twin cities of Hubballi and Dharwad northwest region and address a BJP convention on Sunday, a party official said. "Modi will fly to Hubballi from Tiruppur in Tamil Nadu later in the day to participate in 2-3 public programmes and address our state leaders and cadres from all the state," party official S. Shantaram told IANS. The Prime Minister will also dedicate doubling of 18km Chikjajur-Mayakonda section railway line for passenger and freight services, and initiate the electrification work of 346-km Hospital-Hubballi-Vasco da Gama line in this region. "Modi will launch the BJP's campaign for the ensuing Lok Sabha elections, due in April-May, as the party will contest in all the 28 parliamentary constituencies in the southern state," added the official.